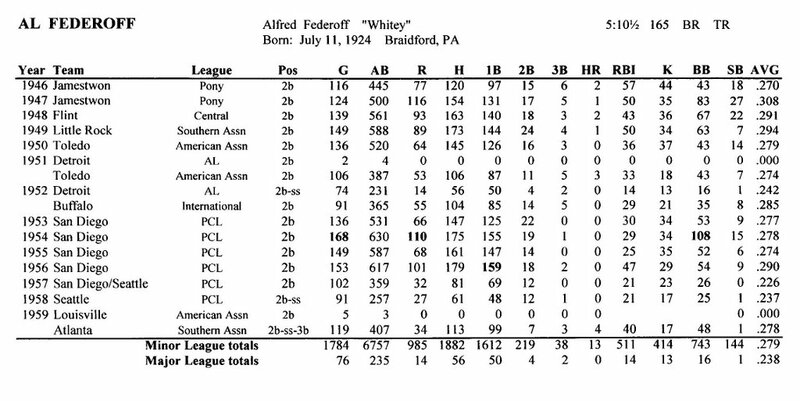 Some time ago Robert Morphy asked me to put together a career record for Al Federoff. 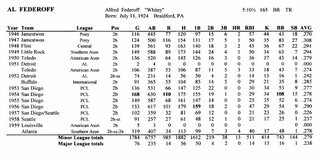 I only do that when I get inspired, and I did because Al Federoff was they player I admired when I was a young kid in San Diego playing second base. When the club traded Federoff to Seattle, the whole town was up-in-arms, as I remember it. (Well, at least, I was.) But if you look ove his record, you'll see that he was nearly at the end of his baseball career, and that Padres GM Ralph Kiner had it exactly right.